The 25th Annual Conference of the Network of European Museum Organisations (NEMO) will be held in Ghent, Flanders, Belgium, on 9-11 November 2017. Entitled “Open Heart Surgery – The Value of Museum Collections”, the event will also be a celebration of the network’s 25th anniversary. By focusing on the value of museum collections, NEMO wants to take an open look at how museums operate with their collections nowadays. How do museums make their heart beat, how is it connected to other organs in the museum-body and to society? Organisers want to debate questions about how museum collections can help develop a sense of identity – both for the museum itself and their community. What are the contemporary approaches to museum collecting today? How must we challenge traditional museum thinking and practice, and redefine the museum’s role in socially and politically changing times? Museum experts from all over Europe will present museum concepts and projects reaching into political and social spheres or opening up collections to participative, modern and exceptional approaches. Museums need to deal with new tasks, new challenges and opportunities within a digital and diverse society, preserving intangible heritage, representing diverse and shared heritage. These tasks have to be met with changing resources, structures, expertise and skill sets to make sure collections are accessible for current and future audiences. Additionally, this year’s conference offers various hands-on workshops that look into different aspects collection handling. 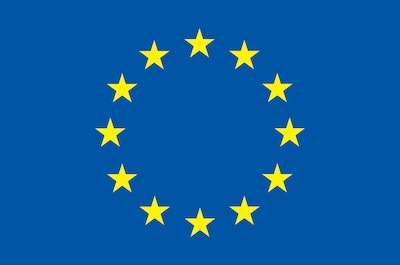 NEMO also offers the unique opportunity to connect to European museum-related projects and initiatives during a EU Project Slam, where several EU-funded museum projects will be presented. Conference activities will be held at the Ghent City Hall, STAM – Stadsmuseum Ghent (Ghent City Museum), MSK – Museum voor Schone Kunst (Museum of Fine Arts Ghent) and SMAK – Stedelijk Museum voor Actuele Kunst (Municipal Museum of Contemporary Art). In addition to visits to several museums in Ghent, participants will be able to tour to different museums in the province of East-Flanders and the House of European History in Brussels on 12 November. A preliminary programme is now available on NEMO’s website.